Perhaps the most telling statistic is that only six 2017 releases figured among the top selling metal (as defined by Metal Insider) albums for the first half of 2017. Metal Insider has recently published a list of the top selling metal albums for the first half of 2017. 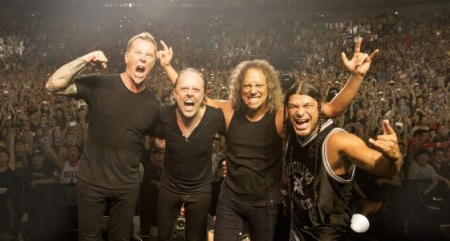 The rich keep getting richer with Metallica having the top spot and six of their albums in the top 20 while best selling albums such as Guns N’ Roses‘ 1987 classic Appetite For Destruction and AC/DC‘s 1980 Back In Black landing in the top 20. Other interesting statistics are that there are six albums from the ’80s in the top selling metal albums for the first half of 2017 including a whopping four from Metallica and the oldest album on the list is AC/DC‘s Back In Black, which is apparently the second biggest selling album of all-time. The 1990s only has two albums on the top selling metal albums for the first half of 2017 and the only greatest hits album is Guns N’ Roses‘ Greatest Hits released back in 2004. You can read the rest of the article at Metal Insider. Only registered users can leave a comments. If you already registered log in.